A strong introduction is a vital part of any paper; it should set the tone of the paper in an interesting, well-written way that makes the reader want to continue reading on to the end. The two main things an introduction should include are an Attention-Getter and a Thesis Statement. An Attention-Getter is a surprising fact or quick, interesting story that will grab the reader’s attention and lead up to the Thesis Statement. The Thesis Statement gives a general idea of what the paper is about without being too direct or giving too much detail. An introduction is a vital part of a paper, because it sets the tone for the rest of the paper. Oftentimes, a reader will decide to read past the introduction only if the introduction is well written. It’s very important that you put some thought and effort into the introduction. 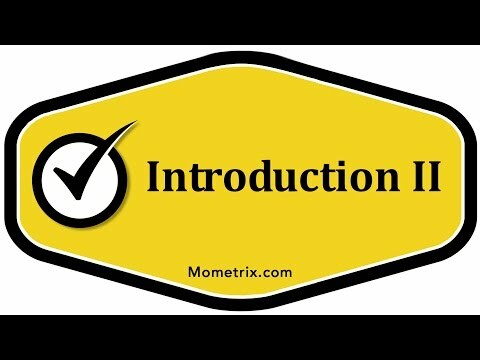 There are two things an introduction needs to include, and there are many things that an introduction should not include. First, the things that an introduction should include: 1. A thesis statement. 2. An attention getter. A thesis statement briefly tells what the paper is going to be about. You are not going to structure your thesis statement by saying, “I’m going to tell you about…” or “My paper will explain this.” It’s more of a general concept or a general argument that the entire paper is going to refer back to. Every concept and idea in the paper is going to fall under the umbrella of the thesis statement and relay back to it. The thesis statement generally comes at the end of the introductory paragraph. It will be a sentence or two, but it needs to come at the end of the paragraph. Don’t start at the beginning of the paragraph, because the beginning of the paragraph needs to have the attention-getter. The thesis statement isn’t the attention-getter. The attention-getter, like it sounds, gets the reader’s attention and then leads up to the thesis statement, which tells us what the paper is going to be about or the general concept the paper will be talking about. What makes a good attention getter? Many times, this can be a surprising fact. Something that will surprise the reader, making them want to read more, sometimes telling an interesting fact about some well-known person or telling a quick story. It may be a personal story, or maybe a personal story about someone famous. All those are good ways to start off a paper. Sometimes, give a little bit of background information, but don’t make this like a textbook. Make it really interesting and come alive for the reader. That keeps the reader reading and leads up to the thesis statement, which is to come. That’s the main two things that need to be in the introduction. Watch out for anything else that would get in the way of having an attention-getter and a thesis statement. That’s all you really need in the first paragraph. Anything else will get in the way and slow down the action.